I believe that every client is totally different, with different needs and goals.All of the fitness programmes are carefully planned,so that the client reaches their goal in a safe and fun manner.I focus on quality rather than quantity and don’t clock-watch.High Intensity Interval Training sessions for example, can be quite short,but they are very intense ! Sometimes the sessions may go over the usual hour. 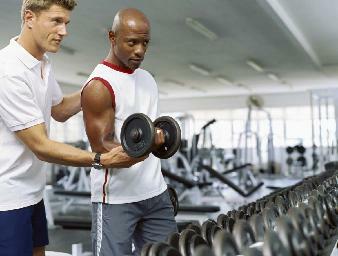 Programmes undertaken will involve a full Fitness Assessment. I like to explain each session and the muscle-groups involved.I do prefer “Whole of Body” work-outs, but sometimes I may have to focus on one area more,if there are real weaknesses. I train clients in the park,at their homes,at Gyms or even on the beach ! Why bother with expensive Gym memberships,when you can work out at home or in the great outdoors. Robert Wells Personal Trainer. Give me a call to see how I can help you.